Someone asked me if they could use Arnold with a standalone Softimage license. Yes, of course you can. You can use Arnold with a trial version of Softimage; the Arnold license is completely separate. As long as you can start Softimage and load the SItoA plugin, you can render with Arnold. The SItoA plugin itself is not licensed. It isn’t until you start a render that Arnold checks out a license. So, how does it work if you have one Standalone Softimage license and five Arnold licenses? You use your standalone license to run Softimage, build your scenes, and set up your lighting, shading, and texturing. Every time you do a render region, or render a frame, Arnold will check out a license (and check it back in when the render is finished). 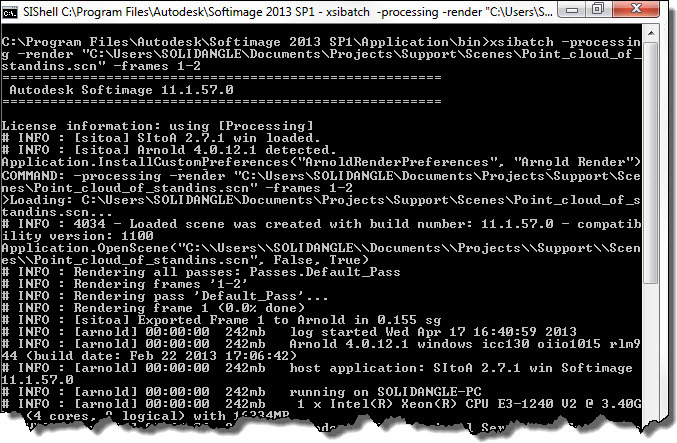 To set up a five-node Arnold render farm, you don’t need any more Softimage licenses, because you’ll use xsibatch -processing -render to do your batch rendering. Just install Softimage on five more machines. You don’t need to activate Softimage or anything. You’ll still be able to run xsibatch -processing -render on those machines, because -processing skips the licensing check. I get asked this question from time to time. It’s actually pretty straightforward to set up…it’s managing the render jobs that may take more effort. 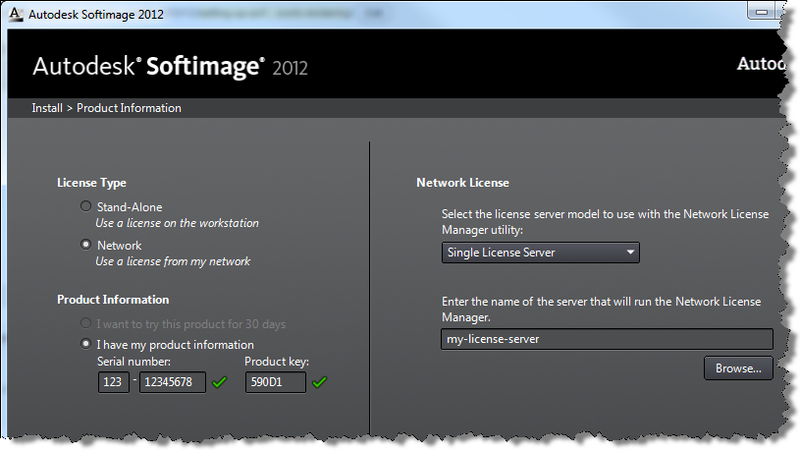 On each render node, install a network-licensed version of Softimage. Enter your serial number and the product key 590D1. Enter the name of the license server computer. Check that you can run xsibatch on the render nodes and get a license. 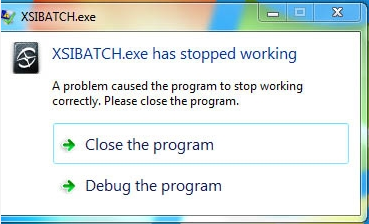 If you have any problems, here’s some troubleshooting tips for xsibatch licensing. Xsibatch needs to have read/write access to wherever you store your Softimage scene files and projects, and wherever you decided to output the rendered images. For example, you could have a separate file server for scenes and render output, or it could be the local workstation where you run Softimage. Third-party addons, plugins, and shaders need to be available to the render nodes, either via a shared workstation or by installing them on the render node. Note that the user account used to run xsibatch will have a Softimage user folder on the render node. Manually starting xsibatch on each render node. Here’s a quick and dirty way to get a batch file that renders a scene in chunks (by “chunks” I mean something like “10 frames at a time”). Now all you have to do is paste it into a text editor, do a search and replace to get rid of the “// INFO : ” (that’s the dirty part), and you’ve got a batch file that you can use to render your scene.